A great way to personalize your kitchen cabinetry is with custom glass front cabinet doors that showcase your style and your treasures. Glass options abound and styles vary to suit your taste: traditional, transitional, contemporary, etc . 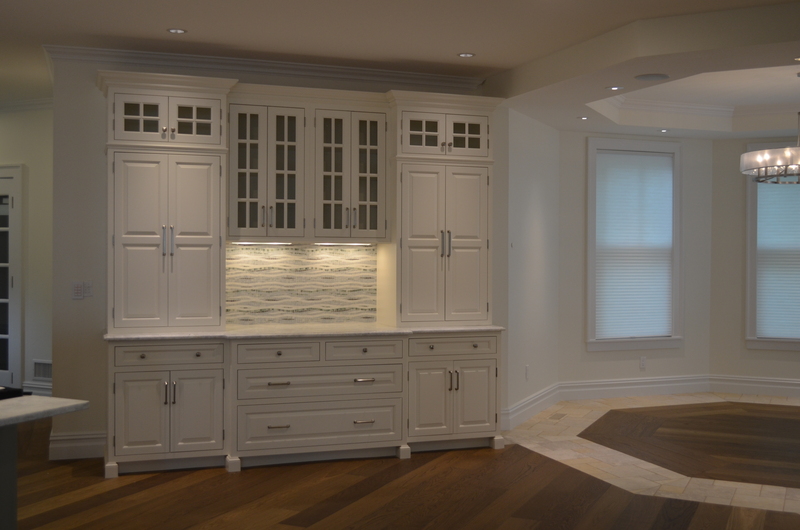 This photograph features Greenfield Cabinetry's full inset shaker style kitchen cabinets with opaque reeded glass. If you want some sparkle on your kitchen cabinets, while maintaining some privacy, opaque glass is a great alternative to clear. Other popular glass choices include bubble, etched, clear, leaded, patterned and more.